All members of Troop 20/20 are encouraged to attend our summer camp week at J.N. 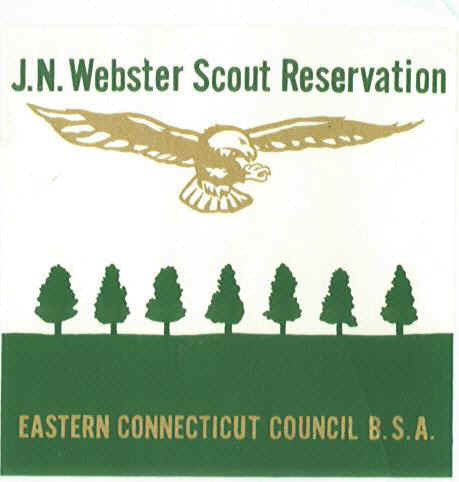 Webster Scout Reservation in Ashford, CT. Scouts work on and earn many badges while at camp, including Wilderness Survival, Swimming, Life Saving, Robotics, Electronics, Space Exploration, Leather Working, Finger Printing, Basketry and more. Some of the favorite Troop camp activities each year are the Polar Bear Swim each morning, Ice Cream Sundae night and siesta time volleyball. Each year Honor Campers are selected by the troop leaders. Health Form: Parts A through D are required (Be sure to not miss the TWO part Bs!). Don't forget to fill in all information including any allergies & medication to be taken while at camp!